Note: This information is only relevant to owners on our Instant Keys plan. Owners on our Key Handover plan need to keep their own insurance for when they and their friends or family are driving. If you are borrowing a car, see: Can other people drive a car I've booked? Car owners on our Instant Keys plan can nominate up to five friends or family to be covered under the insurance when driving their car. You can edit this list at any time online - you just need to make sure to nominate them before they drive. Anyone who drives your car must be added to your Additional Drivers list. 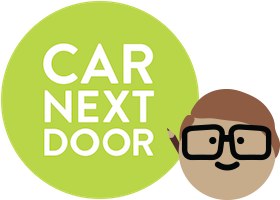 When you list your car with Car Next Door, you, up to five nominated ‘Additional Drivers’, and any other approved Car Next Door member can drive your car. If any other person drives your car and causes damage, it will not be covered under our comprehensive insurance policy. If you wish to have any other people driving your car (e.g. your spouse, partner, adult son or daughter, flatmate or friend), you will need to add them as ‘Additional Drivers’. It’s easy to do, but you must do it before they drive. not pay you for the use of the car. (If payment is involved it must be booked through the platform). To nominate Additional Drivers, or change your nomination at any time. If one of your additional drivers would like to use your car, they'll need to ask you to block it out for them in your calendar. If they need to use the key that's in the lockbox, you can generate a lockbox code for them. Lockbox codes are valid for 4 hours. Make sure you remind your additional drivers to put the key back in the lockbox ready for the next borrower when they're done.